This is a flyer explaining the structure of a human eye. It will explain the front and back structure as well as how the eye works. I will also list some common eye problems that can occur and a possible fix to them. Light rays enter the eye through the cornea which is a transparent layer that in-front of the human eye also can be the clear front “window” of the eye. The cornea’s refraction power bends the light rays so that they pass through the pupil the opening in the center of the iris through which light enters the eye. 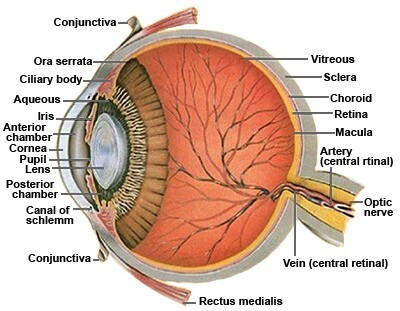 The cornea also has other parts of the eye that support it. One is the lens (crystalline). The (crystalline) lens is a transparent structure that, along with the cornea, helps to refract to the retina. Light coming by the cornea and crystalline lens then reaches the retina, the light-sensitive inner lining of the back of the eye. 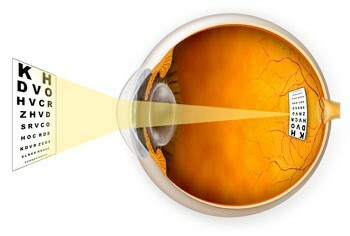 The retina acts like an image sensor of a digital camera, converting optical images into signals. The optic nerve then transmits these signals to the visual cortex, the part of the brain that controls the sense of sight. 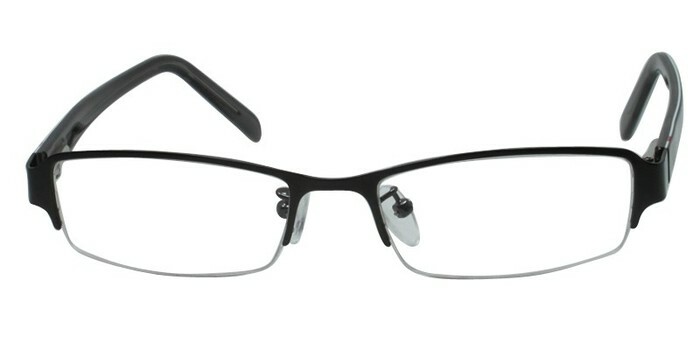 Eye glasses are used to correct eye sight problems. Eye glasses have different angles dependent on how bad the person's eye problem is. There are six main muscles in the eye that control the motion of it. The most important parts of the human eye are the iris, cornea, lens, retina, conjunctiva, the macula, and the optic nerve. There are many eye problems and one of the most common ones are short sighted and long sighted eye problems. The modern fix to these problems are wearing Eye glasses or contact lens. Short sight is when you can only see close to you and you can't see things far from you as they will be blurry for you. Long sight is when you can only see things far but not things up close as they will be blurry. There are many other less common problems such as burning eyes, paining eyes, allergies in the eye, black eye blehpharitis, A-Z letters eye symptoms, eye diseases in general and even eye cancer. Most of these problems can't be fixed and be back to normal but there are many equipment that can help stop it or temporarily fix it while in use, such as eye glasses and contact lens. It is very easy to get eye problems but very hard to try fix or help so easy tips and habits can save your eye sight and bad habits can ruin them very quick. One of the most common bad habits is using looking at a screen, book or object too close a lot. This can cause short sight easily if you do it consistently.